The Lady Bulldog softball team gave the healthy crowd on hand for their home opener Tuesday at the Mack Chase Athletic Complex a little bit of everything: an early lead, a rally from behind, a tie-breaker, and a late-inning stand. But when all was said and done, the Artesia girls came out on top, 9-7 over the Lady Tigers of Alamogordo, to improve to 5-0 on the young season. After holding Alamo scoreless in the top of the first despite two runners in scoring position with one away, the Lady ‘Dogs wasted no time getting on the board as cleanup hitter Kali Crandall homered to score herself and leadoff Presley Skinner, aboard with a single. The Tigers were able to use a few errors to mount a comeback in the second, however, taking the lead, 3-2, on a single, a RBI ground out, and a double-steal. Artesia was unable to respond in the home half, but after senior pitcher Kacey Thurman and her defense seated Alamogordo in order in the top of the third, the girls in orange regained the lead, 4-3, when Gabrielle Gomez and Crandall – on with a leadoff single and as a hit batsman respectively – scored on a two-RBI double to left-center by catcher Melody Payne. 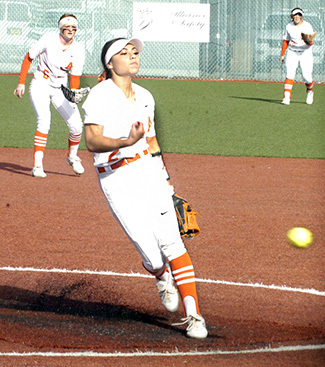 The Lady Tigers tied it up in the fourth on a bases-loaded hit by pitch, but the Lady Bulldogs proceeded to blow the game open in the bottom half of the inning. Skinner got the ball rolling with a single, stole second, and was driven in by Thurman, who also scored on a base hit by Adrianna Baeza. Gomez reached on a walk and crossed home on a passed ball, and Baeza would come home on a swat by Chanler Groves. Alamogordo made it 8-5 in the top of the fifth on an Aiyanna Jones solo homer, but the Lady ‘Dogs got the run back in the home half when Alexa Riggs led off with a triple and was doubled in by Skinner. The Lady Tigers threatened once more in the sixth on a Taylor Murphy RBI double and a single from Tori Borunda, and with Artesia going scoreless in the bottom of the inning, the tally remained 9-7 heading into the seventh. There, however, Thurman popped up the first batter and grounded out the last two to preserve the seven-inning win. The senior had seven strikeouts, 10 hits, four earned runs, and no walks to her credit. Alamogordo freshman Valerie Contreras took the loss with 11 hits, nine earned runs, two walks, and two Ks. The Lady ‘Dogs were led at the plate on the afternoon by Skinner, 3-3 with a double and one RBI. Payne went 1-2 with a double and two runs batted in. 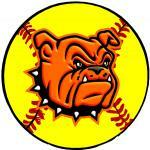 Artesia will now prepare to hit the road again for a 4:30 and 6:30 p.m. double header against Hobbs. They’ll take on Carlsbad at 6 p.m. March 20 in Carlsbad before returning to The Mack March 30-31 for the annual Lady ‘Dog Invitational.